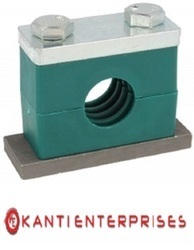 IPS Tube Clamp is manufactured utilizing premium grade raw material and advanced techniques in adherence with the international quality norms and standards. Available for all sizes of IPS tube. Matching up with the requirements of our clients, we are involved in offering Pipe Clamp. Innovative, time saving, cost effective solutions for the rapid fit up of pipes and fittings for welding. TAG PIPE EQUIPMENT SPECIALISTS are renowned as the world leader in the supply of Pipework handling and ancillary equipment. Size Range: 1/2"-2", 1/2"-4", 1/2"-6"
Tube Clamp Offset Crossover 90 Deg. 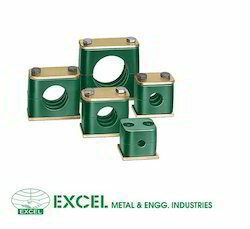 Backed by a rich industrial experience, we are actively committed in providing a world class plethora of Tube Pipe Clamp. Broadly cherished owing to its preciseness, these are exceedingly demanded. Moreover, these could be acquired from us at market-leading rates. Hydraulic Pipe Clamps for Hydraulic Hoses. Standard Duty, Heavy Duty , Twin Pipe Clamps, etc.